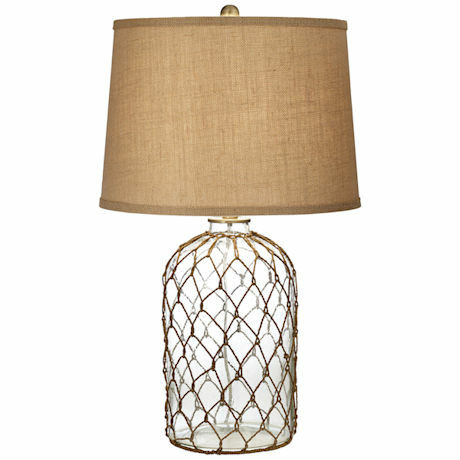 This coastal glass lamp covered in netting will fit right in with your beach decor. 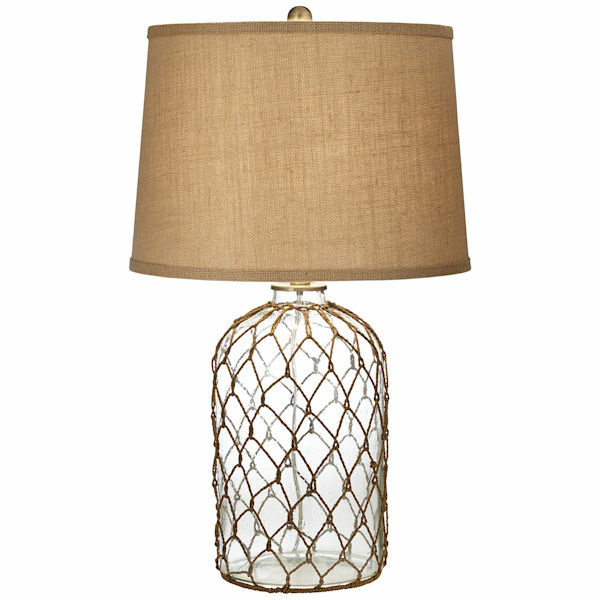 Contrasting burlap shade (12" high) adds to the nautical ambiance. Lamp 29"h x 17"l x 17". Takes 1 medium base bulb, 150 max wattage. Please allow 2 weeks for delivery. No rush delivery or gift box. Item can only be shipped within the Continental US.